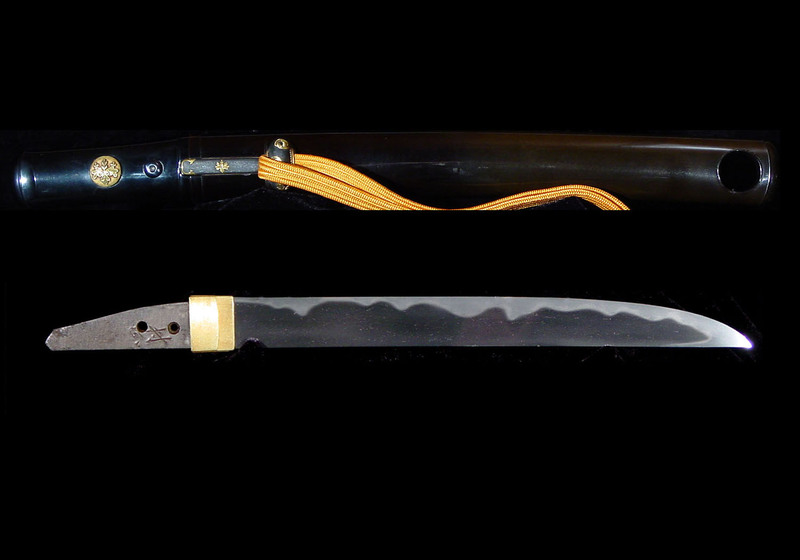 It is a rare pleasure to be able to offer for sale a sword by such a famous (or infamous) smith as the second generation Muramasa. This tantô is one such sword. 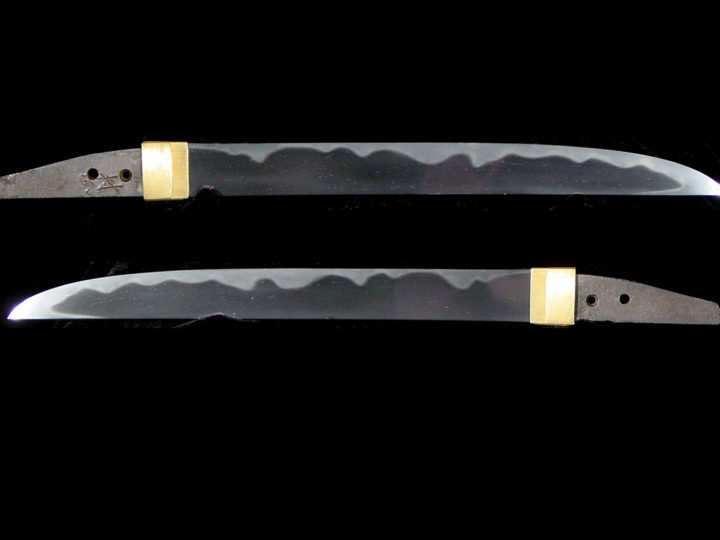 For hundreds of years the swords of nidai Muramasa (二代村正) have been regarded as swords with evil powers. When we say evil powers we are speaking about their supposed ability to cause bad things to happen to their owners. 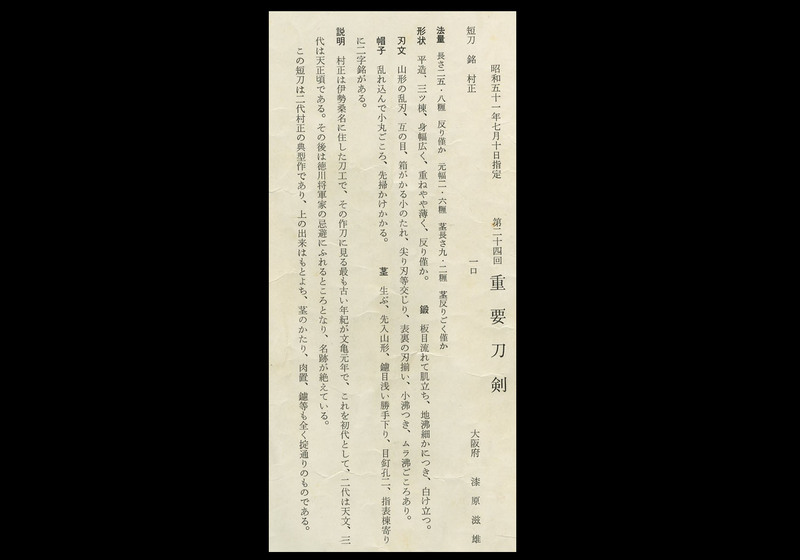 The Tokugawa family who ruled Japan for 250 years certainly felt that the swords of Muramasa boded ill for their family, thus fostering and enhancing this reputation. For more information about the history of Muramasa and his legend, please refer to the following article: Nidai Muramasa. This tantô is a Jûyô Tôken that has survived with its signature and embodies all of the skill and attributes that made this smith so famous. 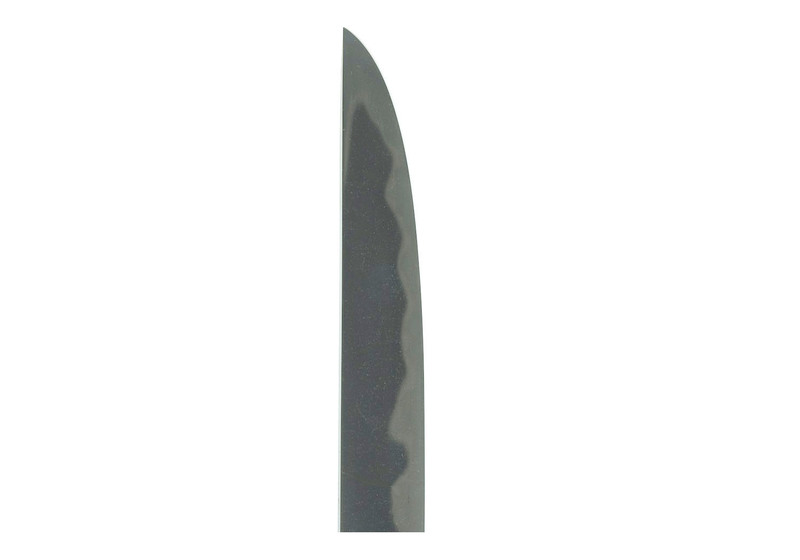 The length of this tanto is 25.8 cm or 10 3/16 inches. 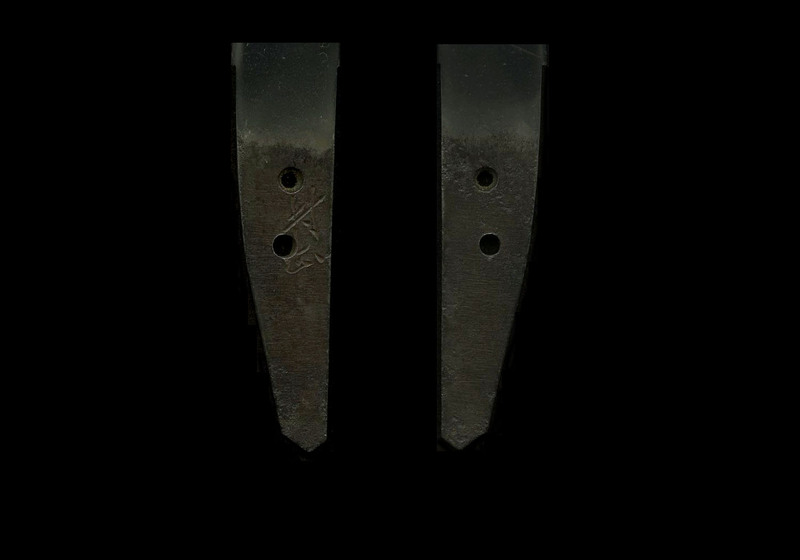 The moto-haba is 2.6 cm or 1.02 inches and the nakago length is 9.2 cm or 3.62 inches. 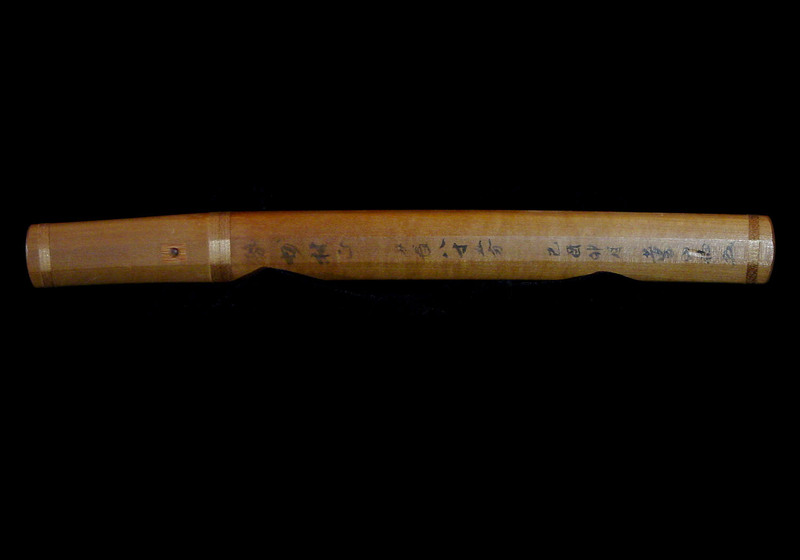 The hada is a flowing item that is covered in minute ji-nie. There is a shirake ji-utsuri present. 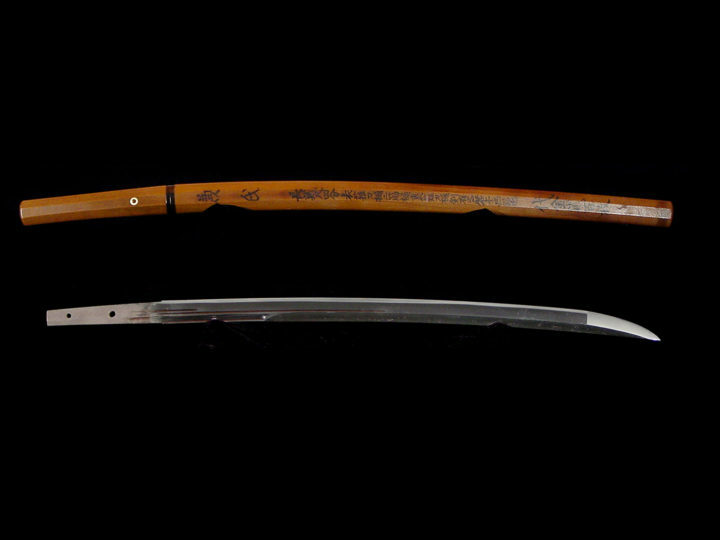 The hamon is yamagata-midare-ba with some gunome, box shaped notare, and togariba mixed in. 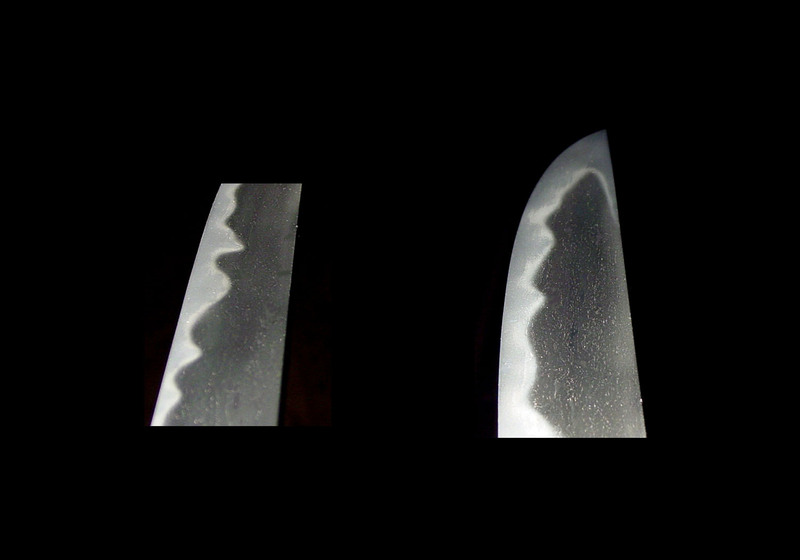 The hamon is the same on both sides of the blade and this is an important kantei point for this smith. The bôshi is midare-komi with a ko-maru turn back with hakikake. The nakago is ubu with two mekugiana. 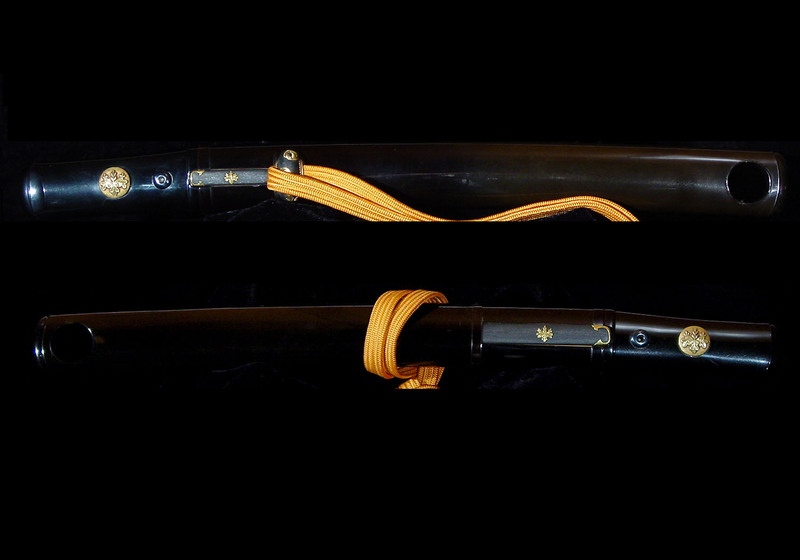 This blade comes with an outstanding yet simple koshirae. 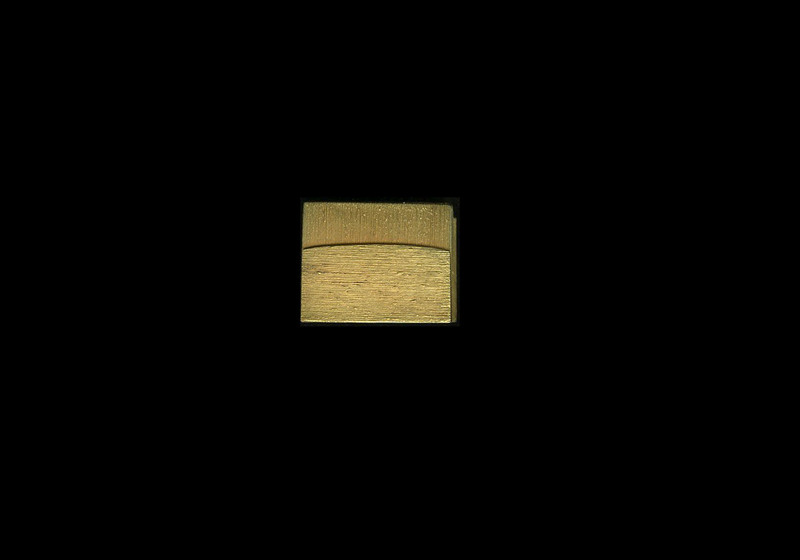 It is aikuchi in style with no tsuba. It is lacquered black in its entirety. The menuki are gold kiri mon. The kozuka, kogai, and kurikata are all shakudo nanako with gold family mon and kiri mon. The quality of the fittings is superb. 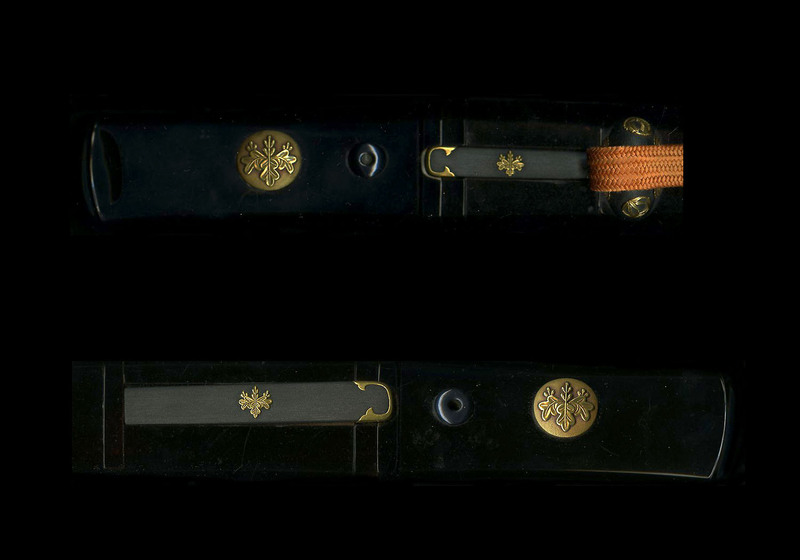 The kozuka and kogai have gold trim enhancing their beauty. The ko-gatana is signed Kanemoto. Designated Jûyô Tôken at the 24th shinsa held on the tenth of July 1976. Dimensions: Length: 25.8 centimeters; Curvature: slight; Width at the Base: 2.6 centimeters; Nakago Length: 9.2; Nakago Curvature: very slight. The construction is hira-zukuri with a mitsu-mune. 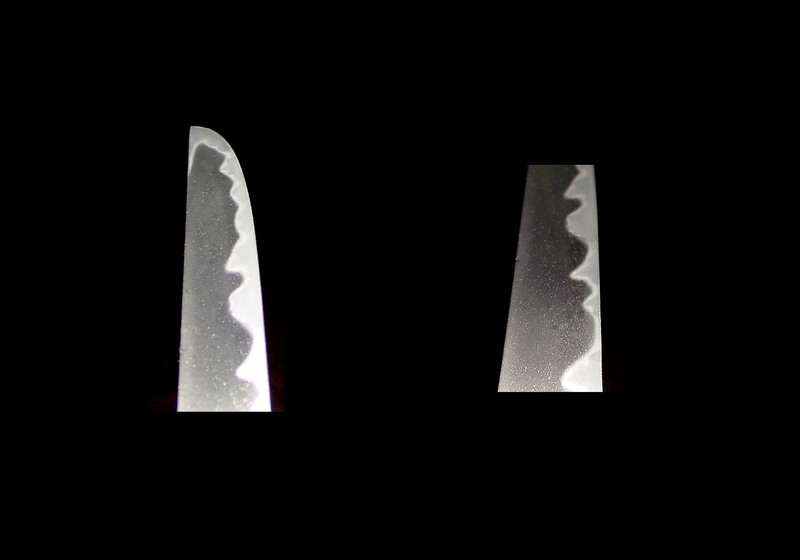 The blade is wide and somewhat thin. There is slight curvature. 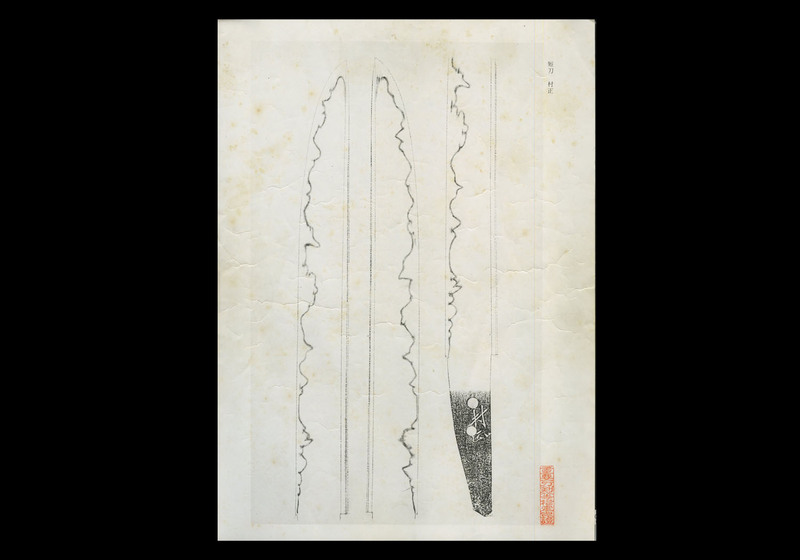 The kitae is flowing itame with prominent hada that is covered in minute ji-nie. There is conspicuous shirake style ji-utsuri. 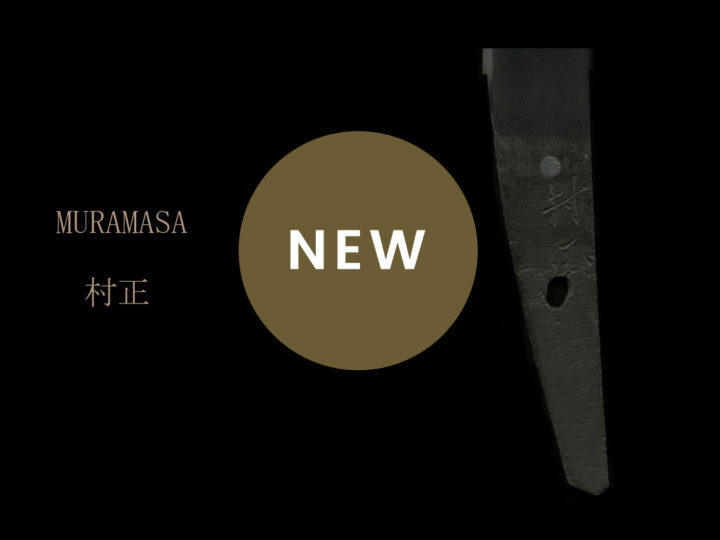 The hamon is yamagata-midare-ba with a mixing in of such patterns as gunome, box-shaped notare and togari-ba. 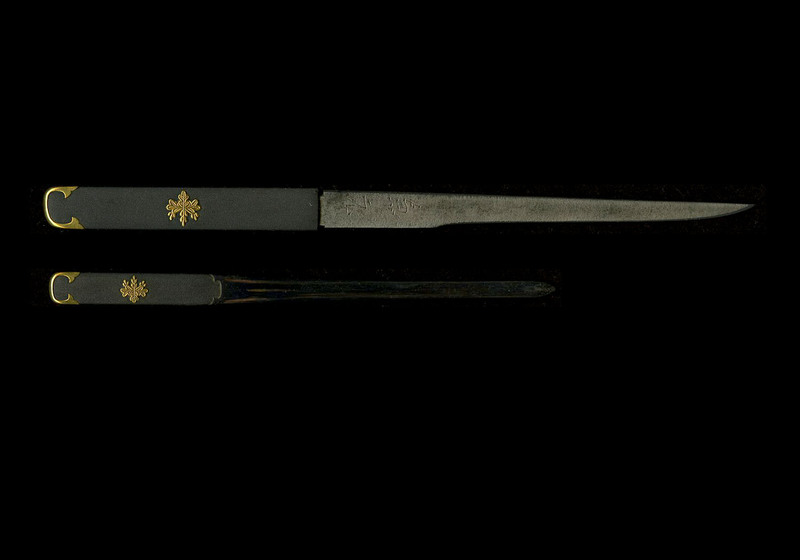 The hamon is matched on both sides of the blade. The habuchi is covered in ko-nie with a hint of uneven nie covering. The bôshi is midare-komi with a slight ko-maru tip and brushing. The nakago is ubu, and the end is iriyamagata. 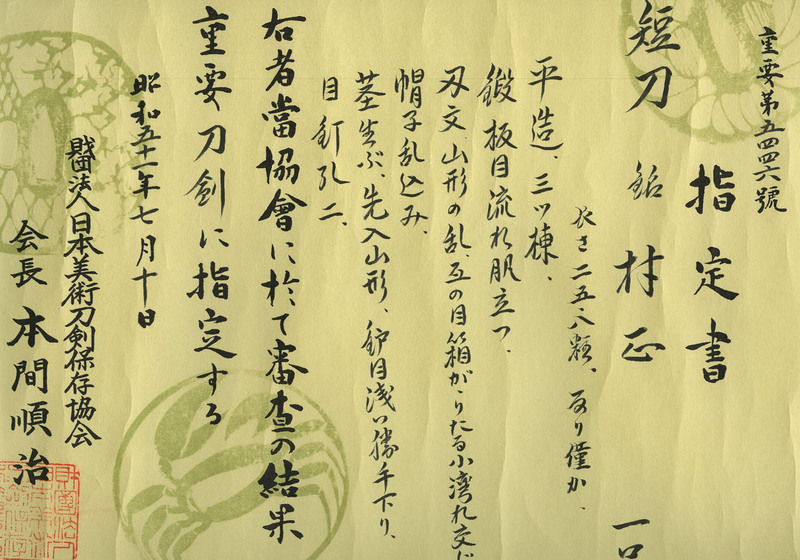 The yasurime are shallow kattesagari, there are two mekugi-ana, and near the mune on the sashi-omote side there is a two-character signature. 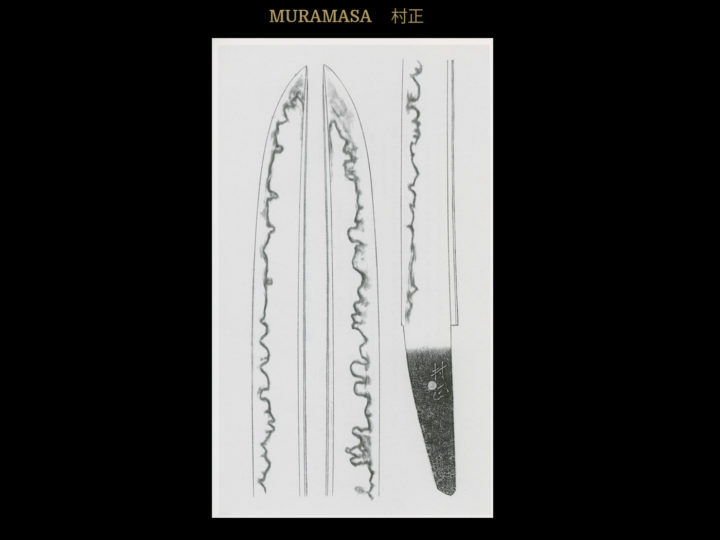 Description: Muramasa is a sword-smith who resided in Kuwana, Ise Province, and the earliest dated works seen are of the Bunki era (1501-1504), which are the works of the first generation. The second generation was active during the Tenbun era (1532-1555) and the third generation is circa Tenshô (1573-1592). 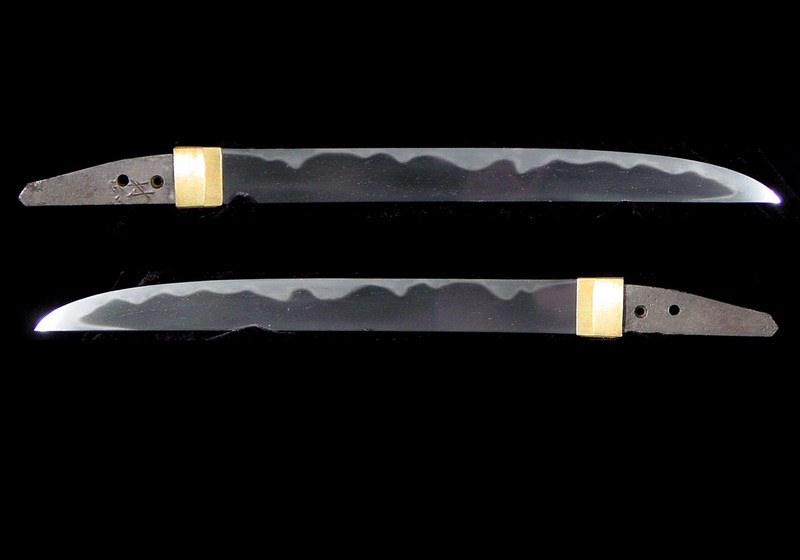 After this, the family of the Tokugawa shogunate avoided contact with these blades, and the Muramasa named died out. This tantô is a typical example of the second generation, and the workmanship is more than excellent. The shape of the nakago, its meatiness and the yasuri are all in accordance with what one should expect.